Dive in and dig up some excitement with the Baden Champions Volleyball Set. 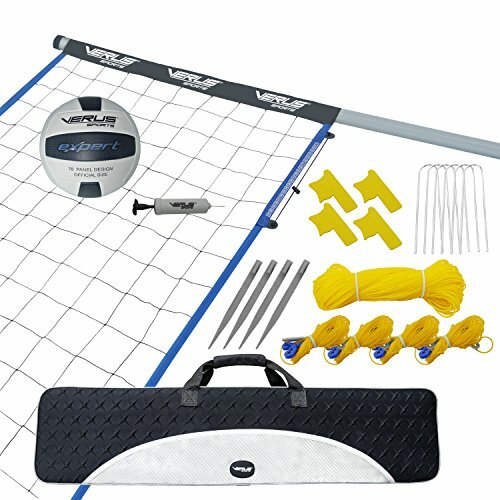 This portable yet professional volleyball setup comes with everything you ll need to set it up and spike it down. We here at Baden believe that the quality of our backyard games is essential to our customer happiness. There is nothing worse than setting up a cheap backyard games set just to have it fail on you during an event ending the fun early. 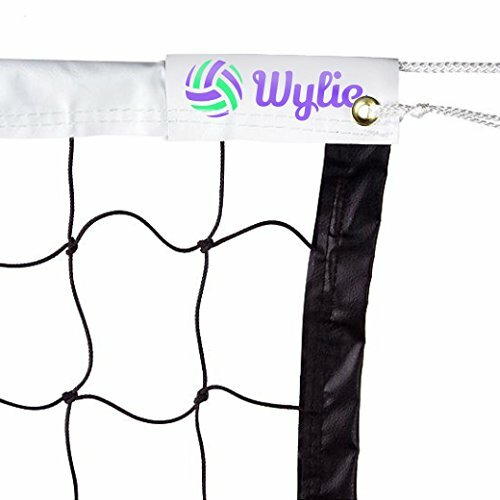 With knowing quality is key this volleyball sets regulation size, 24-ply volleyball net is made of durable weather-resistant polyethylene which eliminates the set from fraying or breaking down. 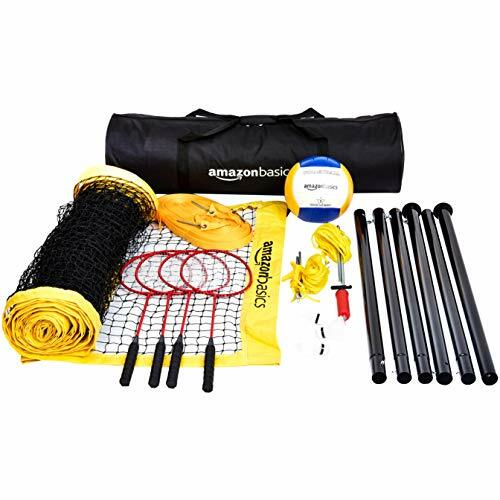 The set also comes with the highest quality powder-coated steel poles which are held up by heavy-duty double-braided rope and 10-inch metal stakes. Grab your Champions Volleyball Set today and truly see the difference between us and the other guys, you won t be disappointed. 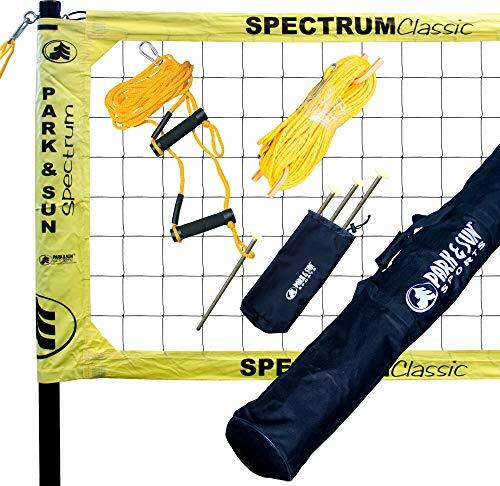 The Park & Sun Sports Spectrum Classic portable outdoor volleyball net system is our flagship set for professional, tournament-level volleyball. This set is a perennial favorite of tournament directors and competitive players alike. This volleyball net system is designed with premium, powder-coated telescopic aluminum poles that measure 2" in diameter. These 2-piece poles feature a push-button locking system, allowing you to easily adjust the net to men's (8'), women's (7' 4") and co-ed (7' 8") playing heights. The Park & Sun Sports Spectrum Classic volleyball net system features our regulation size Spectrum net, which measures 32' L x 3' H, and is pre-attached to the poles. 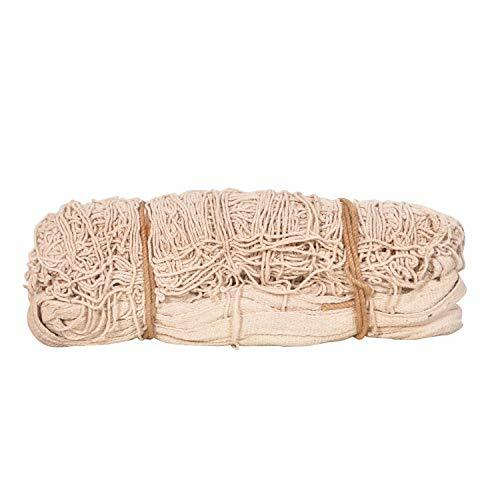 This nylon net has 3" top and bottom tapes with reinforced corners and is equipped with convenient 6" side sleeves, which distributes the net tension evenly from the top to the bottom of the net. Nylon netting is superior at withstanding harsh weather compared to lower-end polyethylene (PE) nets, so you can enjoy the game for years to come. The 5/16" double guyline with padded pull down handles allow for quick adjustments that ensure the net remains taut, even during rough play. For added stability, (4) 12" forged steel ground stakes are also included. Define your court with the 5/16" diameter, pre-measured boundary (60' L x 30' W) which is firmly secured to the ground with corner anchors. When not in use, the cord winder keeps the boundary wrapped up without tangles. This entire set fits inside a heavy-duty 1800 denier polyester zippered equipment bag with carrying handles; making transporting and storing extremely convenient. Show off your volleyball skills on this Expert level set. With galvanized steel poles, a full size net and convenient storage bag you will be ready for the next big event. Great for the backyard, park, college campus, or anywhere you like to play! The convenient carry bag makes it easy to pack up, store and transport. 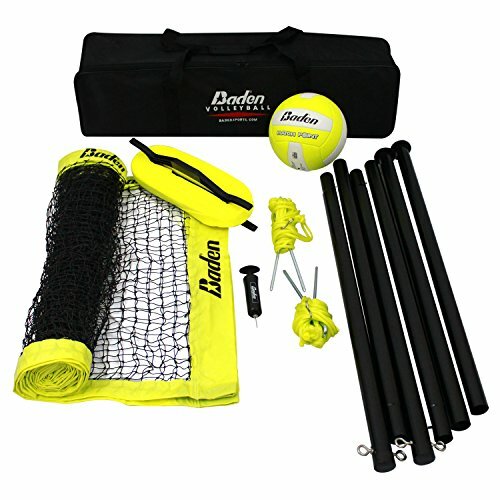 Comes with everything included: net and poles, a regulation size ball with padded panels, a compact air pump, guy ropes, boundary marker and winder. Perfect for beginners and sturdy enough for more competitive players. This net can be enjoyed by everyone! DURABLE- 1" steel poles with adjustable heights can stand up to more aggressive play. ADJUSTABLE- Net height can be adjusted for different skill levels and men's, women's, and coed playing heights. 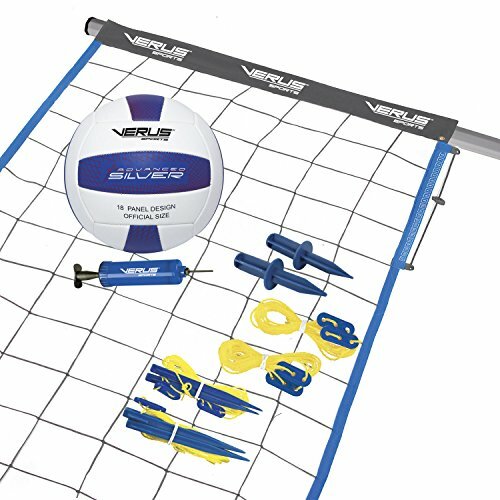 Brand: Verus Sports | Manufacturer: Verus Sports, Inc.
Get your outdoor party moving with Verus Sports Advanced Volleyball Set. Perfect for the backyard, local park or wherever you like to play. 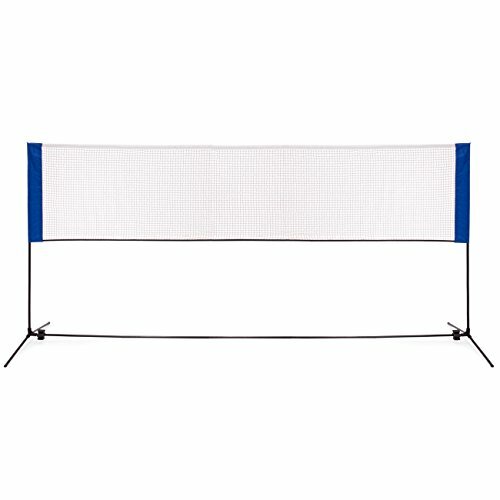 Set comes with an all-weather net, height adjustable poles and stakes, built-in scoring, volleyball and pump. The set is easy to set up and is great for all skill levels and ages. Store at home or take it anywhere in the deluxe style carry bag. HEIGHT ADJUSTABLE- 1 3/8" diameter octagonal PVC telescoping poles, adjustable height to 7'1", 6', 5'1"
SUPPORT SYSTEM- Double guy rope system and tension clips, pole anchors, heavy duty stakes keep your net taut. The Park & Sun Outdoor Volleyball Boundary makes a great accessory for defining your volleyball court on the beach, a park, or your backyard. Never again have a doubt if that shot was "in" or "out" with this regulation-size volleyball boundary. Measuring 30' x 60', this Park & Sun volleyball boundary is easy to use and works great for both sand and grass play. 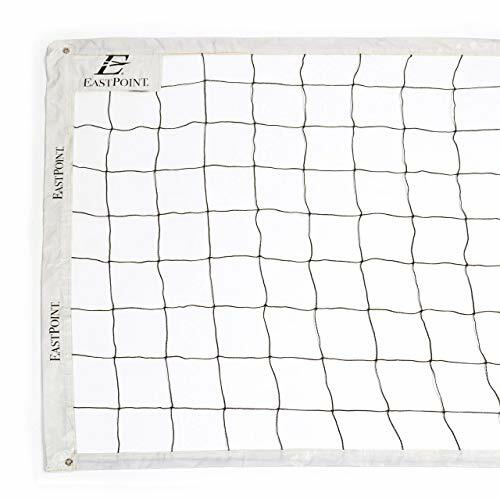 This volleyball boundary is durable, and highly visible with a 1/4" orange poly cord rope. It includes 4, 10" corner stakes with bungee cord attachments. A volleyball set with everyone in mind! 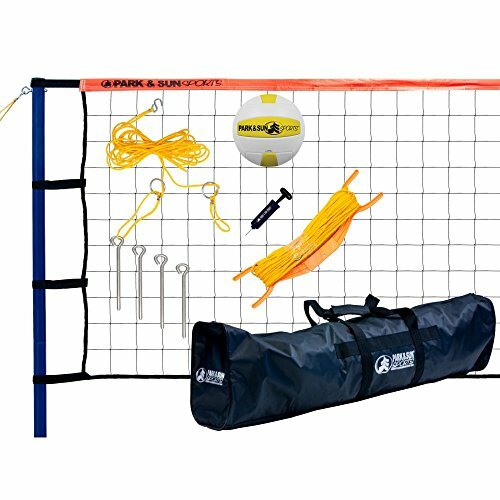 The Park & Sun Spiker Sport Steel Volleyball Set is designed for recreational players and families. The Spiker Sport Set includes a 3 x 32 foot net, .2-inch guyline with tension rings, 1.5-inch diameter steel posts, and a hand pump. Poles adjust to 7 feet 4 inches, 7 feet 8 inches, or 8 feet in height. Comes complete with an 18-panel, machine-stitched ball and a nylon equipment bag. Regulation net with 1.5-inch top tape. 8-in. Steel ground stakes with loops. Pre-measured boundary with corner anchors. Includes nylon bag, ball, and hand-pump. Available in your choice of colors. Great for backyard, beach, park, etc. 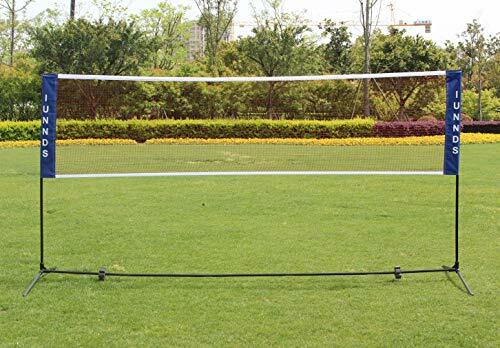 to play badminton, tennis, volleyball anywhere you want. 10.2-foot (3.1 meter) Tennis Net - Super Light (5.5 lbs) for Extreme Portability. The Net can be only adjusted to two heights. Net height when converted for Mini Badminton or beginner Volleyball is 61(155cm), when adjusted for Tennis is 33.5(85cm) .